Peter Turner: Has anyone ever told you that you look like Lauren Bacall when you smoke? Gloria Grahame: Humphrey Bogart. And I didn't like it then either. 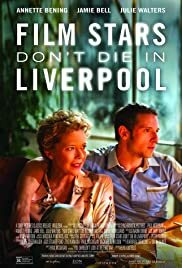 "Film Stars Don't Die in Liverpool" (R, 1:45) is a romantic drama based on a couple of years in the life of Gloria Grahame, an Oscar winner and veteran of such classic films as "It's a Wonderful Life" and "Oklahoma". Multiple Oscar-nominee Annette Bening plays Grahame, mostly during her time in Liverpool, England, where she met, had an affair with and was ultimately nursed through a serious illness by much younger man (and local Liverpool actor), Peter Turner (BAFTA Award winner Jamie Bell). Peter meets Gloria when she moves into his apartment building. They quickly go from being neighbors to friends to lovers. Peter doesn't seem bothered by their age difference and Gloria seems to cherish it, but it inevitably leads to hurt feelings and conflict between them. Nevertheless, they work through the rough patches and Gloria becomes very friendly with Peter's family. When Gloria returns to Liverpool after living in New York for awhile and she is obviously ill, she reaches out to Peter and ends up staying with his family, who all pitch in to take care of the ailing actress. 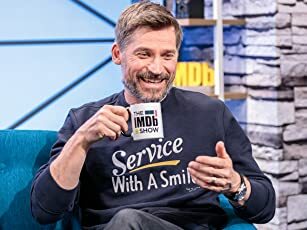 As Gloria's illness progresses and she begs Peter not to take her to any doctors or notify her adult children in the U.S., Peter and his family struggle to find the best way to help Gloria... while Peter deals with his lingering feelings for her. "Film Stars Don't Die in Liverpool" is a sweet and sad story of star-crossed lovers in an especially unusual May-December relationship. It's terrifically acted and creatively shot and edited. It's a wonder why this hidden gem didn't garner more accolades during the 2017-2018 movie awards season. "A-"